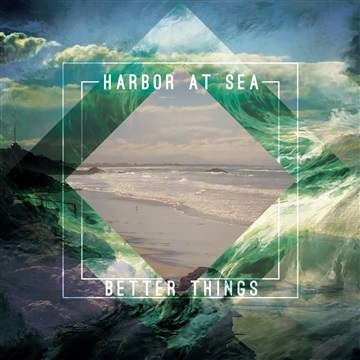 Harbor at Sea is a music project stemming from the collaboration of friends Adam Penn and Brett Monge begun in late 2013. After years of leading corporate worship together, the duo joined forces to make much of Christ through their own brand of original music. Better Things EP was initially recorded in Adam's spare bedroom on GarageBand, and uploaded to NoiseTrade. They used these humble tracks to reach out to Mae frontman Dave Elkins, who produced the EP professionally in 2014. Joining them in Nashville were Derek High on guitar, and Adam's wife, Jessica, on violin. Their throw-back sound was achieved by using authentic vintage gear in the studio, and really adds to the overall vibe of the EP. The band's goal is to minister to people by offering a realistic outlook on the Christian life that the Apostle Paul described in 2 Corinthians 6:10 as “sorrowful, yet always rejoicing.” If you enjoy music from City and Colour, Noah Gundersen, or John Mayer, you'll be sure to appreciate Harbor at Sea. Sit back, put on a pair of quality headphones, and let the music speak to your soul.